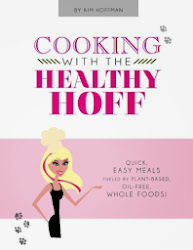 The Healthy Hoff: Healthy Hoff Talks Sprouts! I had an awesome time last night speaking to the No Oil Vegan, Dr. Esselstyn's & Rip's E2 Diet NE Ohio Meetup Group at their monthly Vegan, No Oil Dinner at Sushi Rock! A great bunch of people who are taking control of their health, their lives, their future! It was so refreshing to be among people so dedicated living a healthy lifestyle! I loved their enthusiasm to learn about sprouts and sprouting. They really made my first speaking engagement fun and a fantastic success! Thanks guys! 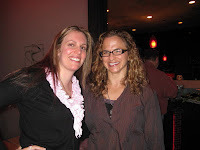 It was great to finally meet Anne Marie, founder and organizer of this No Oil Vegan Meetup Group. A very cool chick, who worked very hard with Chef Nello Salvatore & Corporate Chef Scott Buttari of Sushi Rock to nail down a meal plan that would fit this group's needs. By bringing awareness and educating restaurants that there is a market for plant-based, no-oil meals, it makes it easier for all of us to enjoy a meal outside the house! You rock Anne Marie! 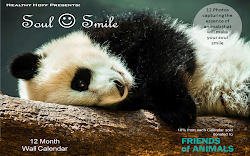 I also met Sandie, another hip & cool vegan who has an awesome event coming up very soon, which I will be talking about later! The meal was awesome - served buffet style so you could help yourself to as much as you wanted! First we had a broth based soup with tiny cubes of tofu, leeks and seaweed - très yummy. My fav was the stir-fry/steamed veggies (mushrooms, red pepper, onion, zucchini & yellow squash). I paired this with brown rice and a liberal dousing of gluten-free soy sauce - yum! 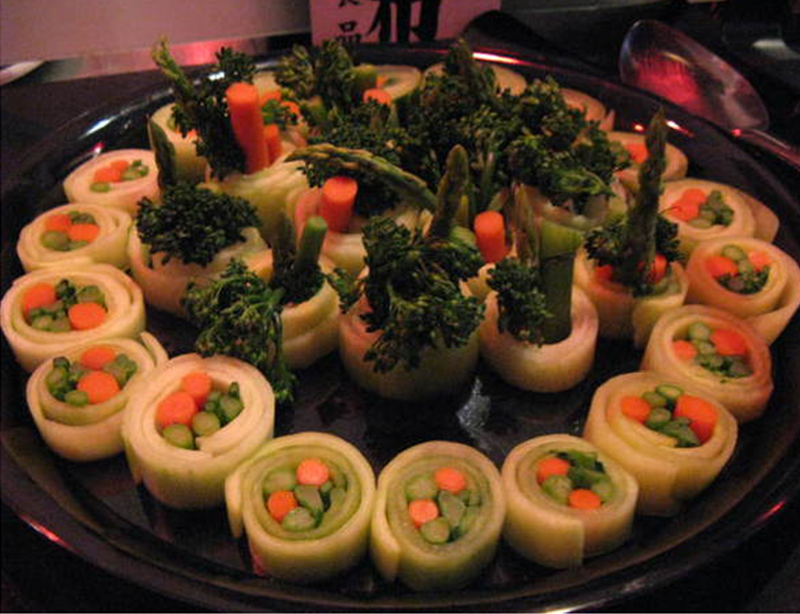 Can't forget the raw "cucumber" roll sushi with asparagus, carrots, broccoli - so cute! Of course there was salad, but you know me and salad... No meal would be complete without dessert - bamboo skewers of fresh fruit! As if the night couldn't get any better, I met my first Healthy Hoff fan live and in living color (friends & family, don't count - you have to like me)! Shout out to Kelly, one awesome chick! I can't believe I didn't get a pic with her! If you're interested in hanging out with a group of great and enthusiastic people in Northeast Ohio, you can join the No Oil Vegan, Dr. Esselstyn's & Rip's E2 Diet NE Ohio Meetup Group. Membership is free and you're not required to do anything. These guys get together for meals such as this one, potlucks, cooking classes, recipe swaps and lectures by the likes of Dr. Esselstyn. I'm a member - what more could you want?!?! If you missed the talk but are interested in learning about sprouts, you can check out Sprouting: What Is It? If you're curious as to what to expect when sprouting, check out my day by day account! If you're already sprouting but running into trouble, check out Moldy Sprouts.